"Sometimes you can assassinate a leader without firing a shot." In the midst of the political machinations of Washington, D.C., a vacancy arises in the office of Vice President of the United States. Governor Jack Hathaway has recently become a national hero after trying to save a drowning woman. But despite Hathaway's superb image, the President (for covert political reasons) chooses to nominate a female senator, Laine Hanson, instead. Congressman Sheldon Runyon, the powerful chairman of the House Judiciary committee, is absolutely set against Senator Hanson's nomination. He pulls out all the dirtiest political tricks in an effort to force a change in the nomination. This includes digging into Senator Laine's college days and discovering a sexual escapade. The dirty politics continue into the nomination hearings where Runyon takes an openly-sympathetic stance on the scandal but still makes overt remarks that implicate the senator in all sorts of wrongdoing. And all the while, Senator Laine conducts herself professionally, even when provided with inside information that could discredit the committee members, including Representative Runyon. 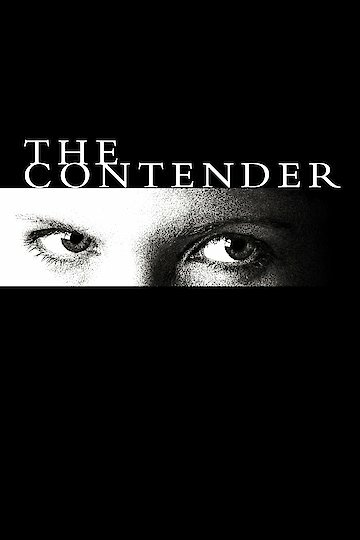 The Contender is currently available to watch and stream, buy on demand at Amazon, Vudu, Google Play, FandangoNow, iTunes, YouTube VOD online.